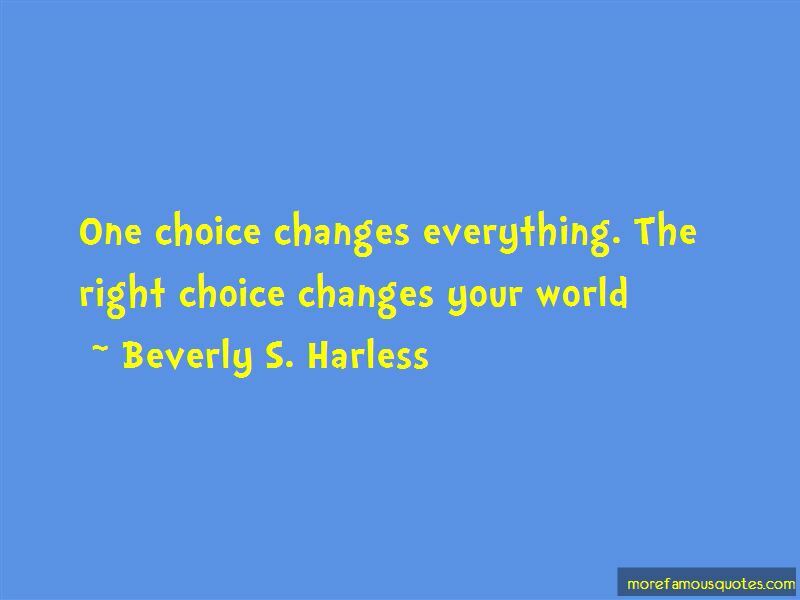 Enjoy the top 4 famous quotes, sayings and quotations by Beverly S. Harless. Every life is a story. Every story has mistakes. If you focus too much on the mistakes, you will miss the story. In doing that, you are making a dreadful mistake yourself. Sometimes, it is the mistakes that enrich and give the story so much more meaning than it would have had otherwise. Don't put your faith in seeing God working during a circumstance. 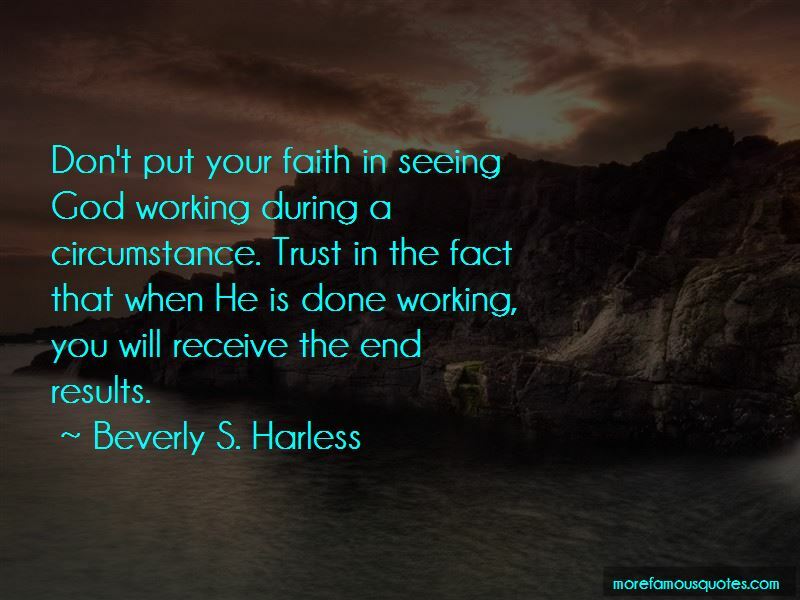 Trust in the fact that when He is done working, you will receive the end results. 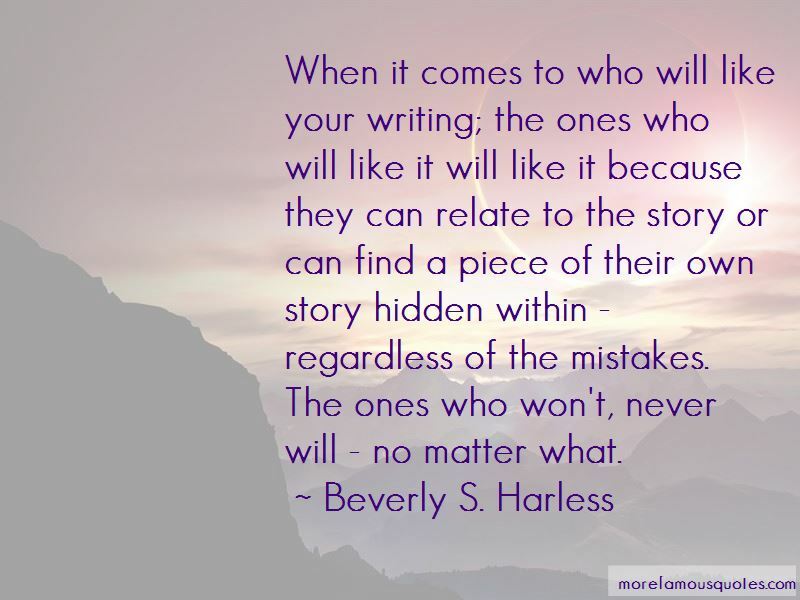 Want to see more pictures of Beverly S. Harless quotes? 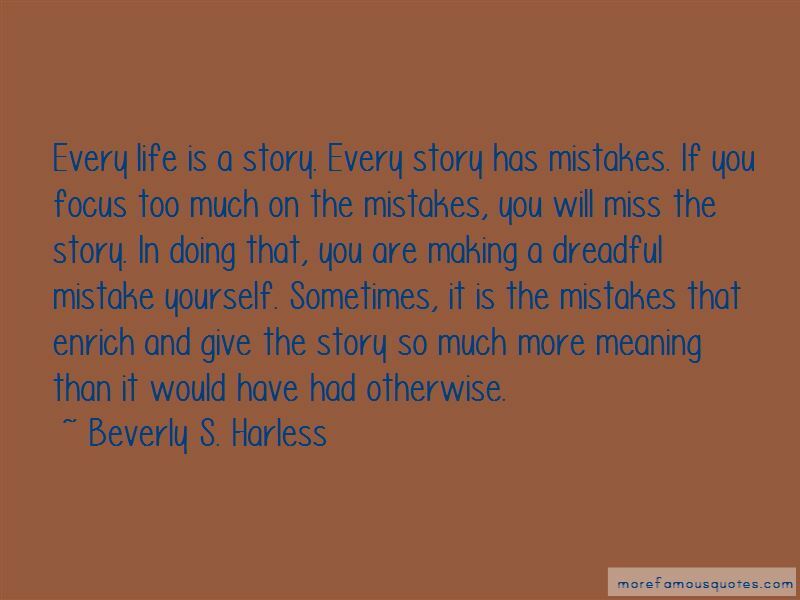 Click on image of Beverly S. Harless quotes to view full size.